While making out your lists of to-dos during the next few weeks, Naper Settlement should definitely be on it. Three events will combine to make a wonderful family experience this holiday season. 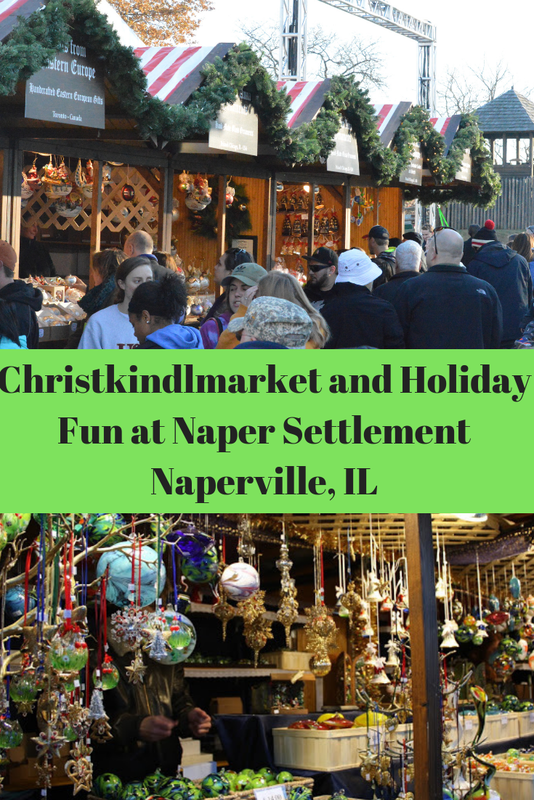 Naperville's Christkindlmarket will open on November 23 and run through December 24. For most of the run, the market will be open Thursdays 11AM-7PM, Fridays-Saturdays 11AM-9PM and Sundays 11AM-6PM. The week of Christmas, the hours will change to: December 17-20 from 11 a.m. to 8 p.m., December 21 and 22 from 11 a.m. to 9 p.m., December 23 from 11 a.m. to 6 p.m., and December 24 from 11 a.m. to 4 p.m.This year's market will feature 45 vendors with a host of ornaments, treats, gifts and more. Of course, there will be pretzels! Local vendors SaraBoo Creek and Le Chocolat du Bouchard will also be part of the festivities. Naper Settlement is also home to Naper Lights which is a dazzling walk through holiday display. Lights will go on at 4PM and will be available for walk through during the days of Naperville's Christkindlmarket. 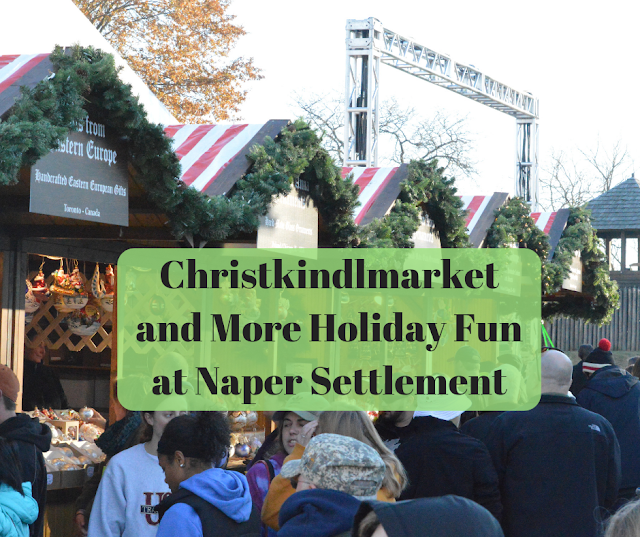 Santa will also be visiting Naper Settlement Saturdays Dec. 1, 8 and 15 with Mrs. Claus from 9AM-11AM. The event will include decorating holiday cookies and making an ornament. Admission is winter admission to the museum. There is also a new Christmas tree display to explore. Great days to spend a whole day exploring Naperville! Exploring Popeil and Ronco Inventions and Products. Image courtesy of Naper Settlement. Additionally, Naper Settlement will be welcoming the exhibit “And It Makes a Great Christmas Gift: The History of Popeil and Ronco." 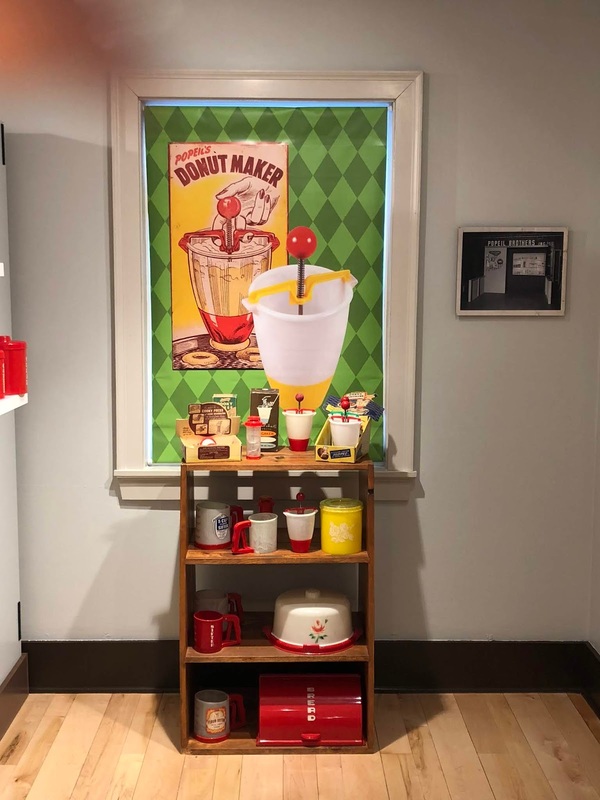 The traveling exhibit initially created by the Elmhurst History Museum will explore the Chicago story about the products invented by Popeil Ronco including the Chop-O-Matic and Mr. Microphone focusing on products marketed for Christmas in the 1950's - 1970's. Take some time to explore early As-Seen-On-TV items! The exhibit will be open for free during the hours of Christkindlmarket. You can also view it will you visit during normal museum hours. Winter admission will apply during that time. Admission is free for Naperville residents, members and children under 4. The exhibit runs November 23-December 24. Ronco and Popeil products were marketed as great for Christmas. 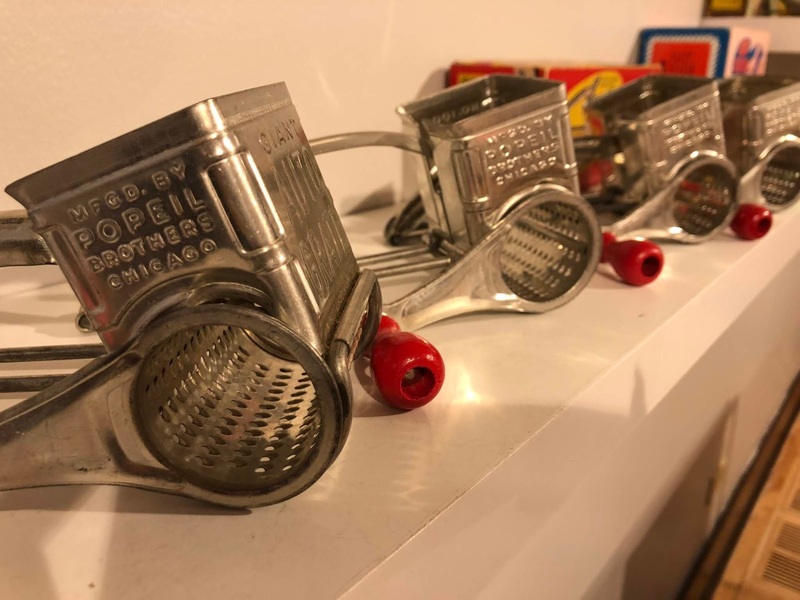 In conjunction with this exhibit, December 9 will feature History Speaks: Popeil & Ronco Chop’d Challenge where chefs Zac Rogers from Elements, Eddie Sweeney from Catch 35, and Val Insignares from Midici will compete using Popeil and Ronco products. The event is from 4PM-5PM on December 9. Reservations are recommended. Naper Settlement is a nationally accredited, award winning museum comprising of 21 historic buildings giving visitors a view back into the 1800's. Events year round introduce visitors to life throughout history through a variety of interactive exhibits and programs.